As the end of Nashville draws nearer, viewers can gain some peace of mind with the knowledge that a 29-track DVD. In a few short months, Nashville fans will have to say farewell to new episodes of their beloved drama when the show concludes on its sixth and final season. As the end draws nearer, viewers can gain some peace of mind with the knowledge that a 29-track DVD. 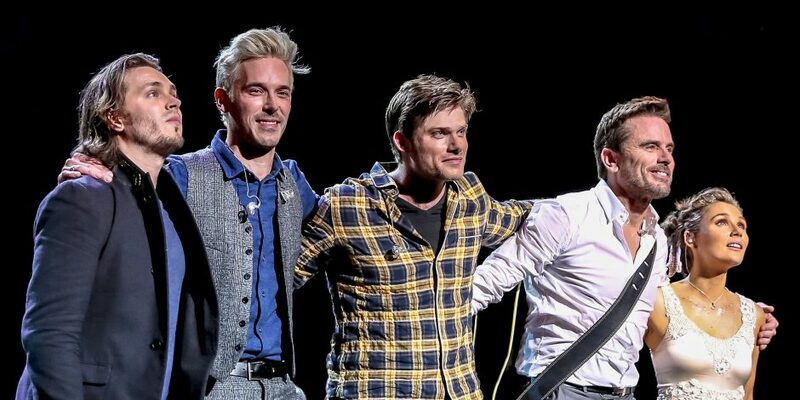 Filmed during the cast’s live show at Royal Albert Hall in London, the film will include appearances from Charles Esten (Deacon), Clare Bowen (Scarlett), Sam Palladio (Gunnar), Jonathan Jackson (Avery), and Chris Carmack (Will) as they perform songs from the series for fans. The Nashville cast will return to London once again for a farewell tour during the summer of 2018. The Farewell UK Tour will begin on April 14 in Birmingham, England and will hit venues in Leeds, Glasgow, Manchester, Cardiff and wrap at London’s O2 Arena. The final eight episodes of Nashville will begin to air on Thursday, June 7, at 9 p.m. EST on CMT. Fans can get their hands on the DVD in late April.